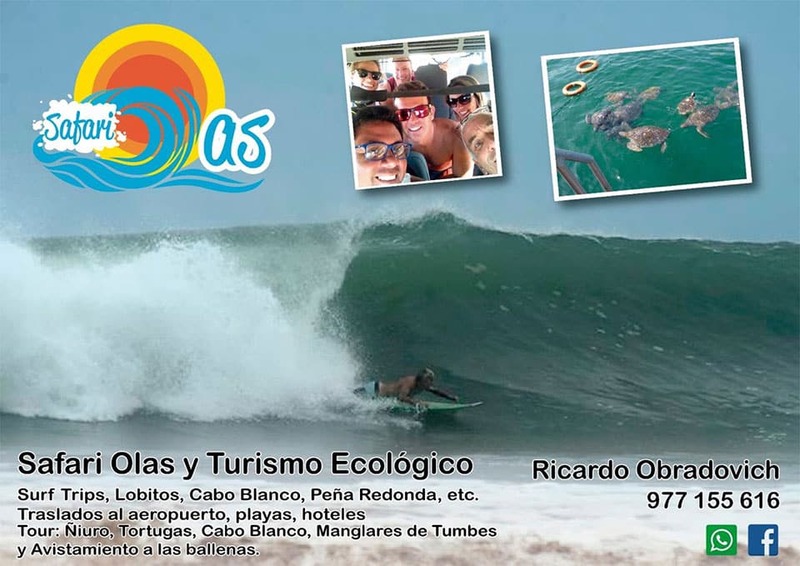 Safari Olas and Ecologic Tours. Ricardo has mobility and is on the lookout for the best waves for his clients to enjoy surfing, kitesurfing. Also direct airport transfers to hotels and beach houses, as well as tourist rides like Turtles in the Ñuro, Manglares of Tumbes, among others.